A new study by a University of Toronto research team led by Professor Robert Reisz and Ph.D. student Aaron LeBlanc shows how small reptiles that lived 289 million years ago could detach their tails to escape the grasp of predators – the oldest known example of such behaviour. The study was published March 5 in the open source journal Scientific Reports. The reptiles, called Captorhinus, weighed less than two kilograms – smaller than the predators of the time. They were abundant in terrestrial communities during the Early Permian period and are distant relatives of all the reptiles today. As small omnivores and herbivores, Captorhinus and its relatives had to scrounge for food while avoiding being preyed upon by large, meat-eating amphibians and ancient relatives of mammals. "One of the ways captorhinids could do this was by having breakable tail vertebrae," says lead author LeBlanc. 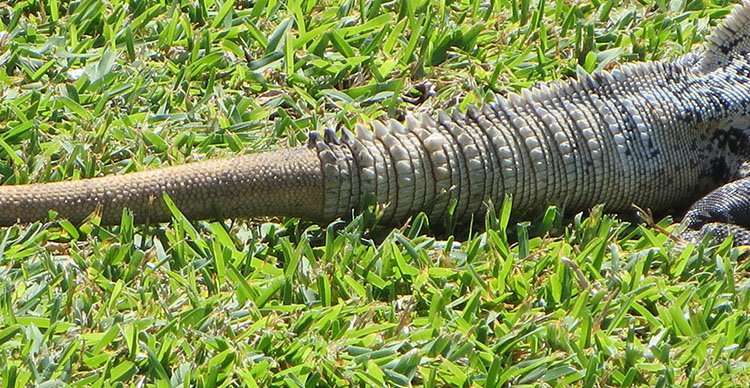 "Like many present-day lizard species, such as skinks, that can detach their tails to escape or distract a predator, the middle of many tail vertebrae had cracks in them." It is likely that these cracks acted like the perforated lines between two paper towel sheets, allowing vertebrae to break in half along planes of weakness. 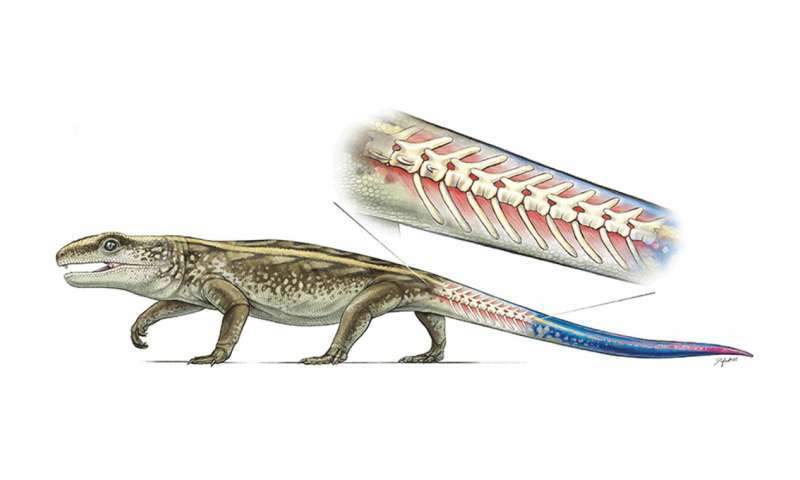 "If a predator grabbed hold of one of these reptiles, the vertebra would break at the crack and the tail would drop off, allowing the captorhinid to escape relatively unharmed," says Reisz, a Distinguished Professor of biology at U of T Mississauga. The authors note that being the only reptiles with such an escape strategy may have been a key to their success, because they were the most common reptiles of their time, and by the end of the Permian period 251 million years ago, captorhinids had dispersed across the ancient supercontinent of Pangaea. This trait disappeared from the fossil record when Captorhinus died out – and it re-evolved in lizards 70 million years ago. The researchers were able to examine more than 70 tail vertebrae – both juveniles and adults – and partial tail skeletons with splits that ran through their vertebrae. They compared these skeletons to those of other reptilian relatives of captorhinids, but it appears that this ability is restricted to this family of reptiles in the Permian period.